One of the most important factors of Christianity is it’s ability to reflect the evolution of it’s adherents by their understanding of God’s Word and through that, the growth of their faith. Since 1382 when Wycliff finalized his translation of the Bible from the Vulgate to English making it available to the common man, even until this very hour, mankind has had the opportunity to grow beyond their state, their culture, their society and ignorance and take responsibility for his relationship with God through the Word. For how can a man perfect his relationship with God, if he does not even understand God’s nature nor truly know him without the balance of having direct access of His Word in their lives? Wycliff kicked down the doors that held the evolution of Christianity back. A christian needs the “Table of Shewbread(1)” as surely as he needs the Golden Candlestick(2) to see and the Altar of Incense(3) to vocalize his adoration and commitment to our King. We cannot sustain ourselves or grow to what we must without the nourishment of the shewbread (The Word of God). As Christians have grown in understanding and wisdom, Christianity has also grown. We have slowly abandoned segregation of races and gender (Romans 10:12, Galatians 3:28). We have left behind man made doctrines of conquering a physical world and evolving a Physical Kingdom on earth to embrace the Spiritual. With that, our warfare has ceased to be physical, in that we cannot torture, force or make war to bring about God’s kingdom. For we wrestle not against Flesh and Blood… ( Ephesians 6:12) As Jesus continually reminded us His Kingdom is not of this world. He left to go prepare a place for us (John 14:2). Why? because this world is material. It dies. The spiritual Kingdom cannot be of this world or it will take on it’s nature of death. Our understanding of God’s plan has evolved but God has not. He was perfect and His plan was perfect from the beginning. Christianity has grown as it’s members have grown. Those that do not grow bring Christianity to shame. It is with wonder that Alex and I began to read the parable of the Mustard Seed. As we began to explore this story and the analogy of the mustard seed, the impact of it’s implication is astounding. For if God’s Kingdom is one of growth and our faith is one of growth, is it not a neccessity that we grow from our first utterances of prayer as we cry out to our Father until we confess him as the Messiah and our Savior, beyond the Gospel of His Death, Burial and Resurrection into the tree of eternal Life that provides a haven to the weary pilgrim who finally makes it home? Do not all have equal opportunity to this haven? I have begun to understand that growth is a journey. As a child, Alex began his journey of faith and his growth and mine continues as we sit and study the Word together. For we are neither Lutheran nor Pentecostal, if we grow… we grow in Christ. if we submit to God’s word, we become His obedient servants. There is no man-made label that can keep the Kingdom of God from growing. We are the wheels of change that surpass Jew, Gentile, Greek, Hebrew, male, female, Lutheran, Catholic, Pentecostal… the curtain to the Holiest of Holies is torn and ALL have access! 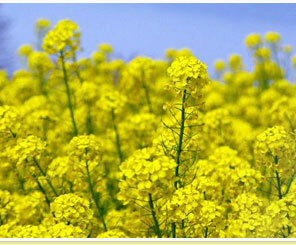 The Mustard Tree is Eternal Life to all that are the children of faith!